Generously supported by the Ontario Arts Council (OAC), the Recommender Grants for Theatre Creators is a fantastic opportunity for Obsidian to fund new theatrical works in development. Obsidian is passionately dedicated to the exploration of the Black Artists voice in Canada, and it is one of our top priorities to support the development of the work of Artists of Colour. This program provides successful applicants with funding that is geared towards the creation and development of new work, with amounts between $1000 and $5000 dollars. Please note that this money cannot be used towards a production of a play. We look for projects that are by Black artists. We put no limits on the content of the work, the work does not necessarily need to be about a particular Black community or issue. Rather, we are looking to support self-identified Black artists with the honing of their artistic craft. 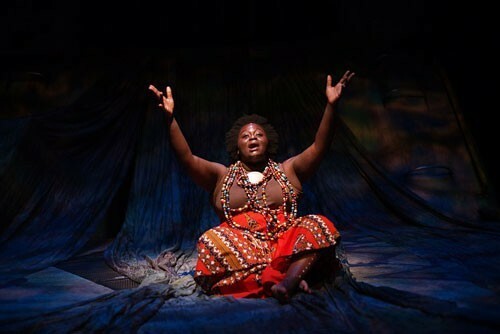 We look at projects that are closely related to our core as a company dedicated to lifting up the Black voice in Canadian theatre. To apply for a Recommender Grant you must submit the application through the OAC’s online system, Nova. For a step-by-step guide on how to register and submit an application please CLICK HERE. Application requirements and guidelines are found there as well.